Since client server and traditional web enabled IT architectures became popular in large enterprises in the mid 90s, organizations developed the practice of building enterprise applications layer upon layer, acquiring dedicated pools of hardware, middleware, software and applications, based on a previously defined set of requirements. This practice is still in vogue within many government organizations, often leading to bundled Requests for Procurement (RFPs) that require the vendor community to design and acquire hardware, software, middleware and web components, as well as develop the customer integrations and code required to develop bespoke applications. Each application typically requires building a separate, monolithic stack, with few opportunities to share or reuse resources between them. While the advent and adoption of virtualization and hosting services has provided some flexibility in terms of sharing infrastructure resources, those resources (virtual or otherwise) are often still dedicated to a specific application cluster, and the most important and complex aspect of the overall application architecture, the database and code tiers, are almost always separate from each other. The code base and architecture is typically custom-designed for each application, resulting in high risk of failure, high development and maintenance costs, low share-ability and reuse, and difficult life cycle management. Managing multiple code bases, often designed using different underlying programming languages and middleware components, adds complexity, risk, and cost to enterprise IT organizations. Migrating from one technology generation to the next is costly, time-consuming, and risk prone, as it often requires fundamentally re-architecting and re-developing the entire application stack. Because most of the focus goes towards ‘making IT work,’ very little is often done to ‘delight the end user.’ As a result, enterprise IT systems often are cumbersome to use and require extensive training, leading to user frustrations. Moreover, since the effort and complexity required to maintain the application stack is quite high, there is very little motivation to continuously evolve the architecture or the application functionality over time. To ensure changes are kept to a minimum, IT project managers are conditioned to fight “scope creep” and “change requests” in order to maintain some semblance of predictability. Since application code and stack changes in this traditional model are costly and risk prone, this approach attempts to limit the cost and risk exposure in projects. Unfortunately, this approach comes at the expense of users, who are often faced with continually changing business and mission expectations and expect IT to keep up. This approach is no longer sustainable in a world of increasingly changing and evolving mission needs within government agencies. Every organization today, irrespective of size, mission, or sector, needs to move at the speed of digital technology if they want to operate effectively. This need is even more pronounced for government agencies, which are seeing higher demand on delivery of modern services, shrinking resources, and the burden of legacy technologies built over many years of large IT investments. The speed at which agencies must move to meet their stakeholders’ changing expectations simply cannot be met by the IT models of the past, requiring years of effort and millions of dollars of investment to deliver each mission functionality. Modern applications should be thought of as a collection of services that need to be knitted together to provide the right experience and capabilities to the users. Who are the people who will log into the application every day? What capabilities do they need? What is the common set of these capabilities that most everyone will use, versus the edge use cases that only are needed once in a while? Are the users limited to the agency’s internal staff only? What interactions will the application have with external users (across agencies, or with non-government stakeholders)? Which digital identities will the users leverage as they interact with the application? Design thinking can provide an effective framework for agencies to conceptualize and design their initiative in human centric terms and expectations. Several agencies are actively building capabilities designed to bake this approach into their operations, including the U.S. Digital Service, 18F, OPM Innovation Lab and the HHS IdeaLab. This trend needs to continue to scale within each government agency as the primary framework for building new government services. Another trend that is fundamentally disrupting how agencies must build application services in the future is the mobile revolution. According to a recent Pew Research study, two-thirds of all Americans now own smartphones and a growing percentage (10%) of users are using their smartphones as the primary means to access the Internet. In addition, almost 70% of smartphone users regularly use their devices to look up information on their health care, banking and other services. Mobile enablement cannot be an afterthought as government agencies design and build services for public benefit. The enterprise platforms and specific apps that are developed and deployed by agencies must provide native, scalable mobile experiences from the start. They must be customizable and integration friendly so agencies can provide custom mobile experiences to their end users, without having to re-code a lot of functionality. Technology platform providers must enable their government customers by providing robust application programming interfaces (APIs) and mobile software development kits (SDKs), allowing extensions of their capabilities into a variety of end user experiences. In order to enable the mobile centric, on demand user experiences sought by their stakeholders, agencies should consider developing a new enterprise architecture approach that relies on identifying and implementing trusted platforms to enable the various service areas required for application enablement, rather than point solutions built from scratch to solve a specific business problem. Modern, cloud-based platforms offer tremendous flexibility in capabilities as well as business and cost models, allowing agencies to only pay for what they use, and scale as their needs grow as they modernize their legacy applications into the new IT stack. Reuse ready: Platform components of the IT stack must be designed to provide packaged services that can be reused extensively between many different mission applications. Examples of these services include identity management, content management, workflow services, and analytics capabilities. Flexible and Extensible: Technology platforms must be flexible to adopt to ever changing mission demands, without requiring significant re-work of custom code. Similarly, platforms must be designed with extensibility in mind, allowing organizations to only pay for what they use, with the ability to scale up to meet mission demands as needed without capital investment. Loosely coupled components: Each technology platform within the IT architecture must connect with other components and external applications via loose and transparent interfaces, allowing one component to be changed, enhanced or replaced without affecting the entire application stack. Agile centric: Technology platforms must allow organizations to quickly deploy mission capabilities through configuration centric techniques, and limited custom development using open languages. Organizations should be able to quickly iterate and adapt to changes in functionality. 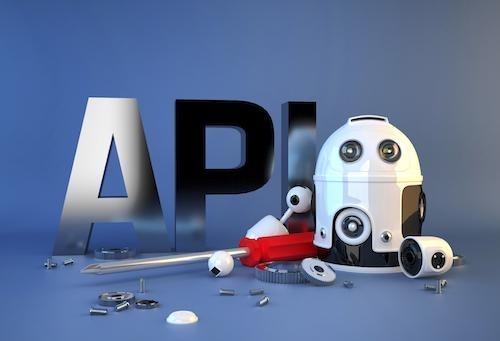 Open integration: Platforms must provide robust, scalable, open APIs designed to extend their core capabilities, connect to external workflow, and become part of a larger whole. As opposed to the monolithic stacks of the past, future application stacks must be designed as an integrated set of platform capabilities, designed to work together via APIs. Gartner calls this new architecture and technology platforms “Mode 2” in their Bimodal IT model, designed to address the new, digital native business processes. This model should offer government agencies a roadmap as they evaluate new and emerging technology platforms to modernize legacy applications. This new model, and a competitive landscape of cloud service providers, exists today and continues to evolve to meet the mission needs of government entities. For example, at Box, we are working every day to build such a platform for the future IT stack. Our platform is designed with a deep understanding of the enterprise content management and collaboration needs in modern organizations, and is designed with flexibility and integration centricity from the start. Each service is componentized and made available using modern, RESTful Application Programming interfaces (APIs), allowing agencies to knit together the specific services they need within their applications and workflows, while maintaining compliance and security of content. This new architecture is already delivering results to the most forward-leaning organizations in the world. For example, OXFAM America is leveraging cloud and mobility as a Box partner, within an international confederation of 17 organizations working together with partners and local communities in more than 90 countries. The worldwide development organization is bringing Box to employees working around the globe. In addition to providing mobile access to content, Box also centralizes management and security for Oxfam’s international affiliates. Similarly, The United Nations Foundation, with staff in Washington, D.C. and New York, and stakeholders all over the world, leverages Box to boost engagements and outcomes in the field while having full visibility into what and how content is shared and used. General Electric is empowering employees to intuitively collaborate from any computer, phone, or tablet across roughly 300,000 employees located in more than 170 countries. Using the cloud, GE is working to unify business information across applications using Box’s open platform and integration with other cloud and on-premise solutions, and provide IT with the control and administrative capabilities required to govern and protect sensitive content at scale. In each case, our customers expect their platforms to not only allow them to secure and manage their most sensitive information in an auditable and compliant manner, but also expect such platforms to work together seamlessly and securely, without the need for custom integrations. As more and more organizations leverage this model, they must demand the same from their Cloud Service Providers (CSPs). 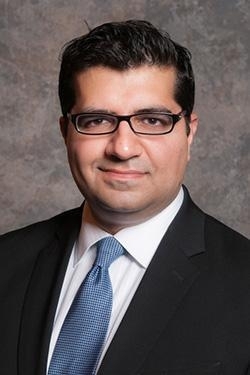 Sonny Hashmi is the Managing Director of Global Government at Box and is the former chief information officer at the U.S. General Services Administration.